Defending Imagine Dragons isn’t that hard. Earlier this week, I woke up to an email from one of my editors, asking my thoughts on Anna Gaca‘s ruthless take on Imagine Dragons‘ recent College Football Playoff Championship Game halftime performance. 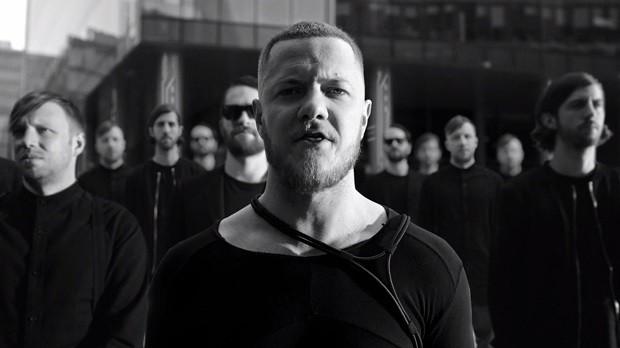 I was offered the opportunity to rebut the claims Gaca made that, among others, “to listen to Imagine Dragons is to be a victim of circumstance.” Why was I the one asked to tackle this? Because anyone who knows me knows that I love Imagine Dragons. More importantly, I couldn’t care less if that makes me uncool. But I digress. Let’s start with Gaca’s article title, and her big question. “Is Imagine Dragons the Worst Band Ever?” This is far from the first time I’ve heard Imagine Dragons’ music trashed; another Spinning Platter editor told me within the last few years that he believed they were “the new Nickelback.” I loathe Nickelback, so I wholeheartedly disagree, but I didn’t miss his point: people get sick of what they hear too much, especially if they’re not into it in the first place. Let me make the distinction here that unlike Gaca, I won’t try to speak for everyone; I can only speak for myself. Bands that I have come to hate over the years weren’t always “the worst thing ever” to me: this evolution occurred over time as the world became oversaturated with their music. When it’s everywhere you go: in elevators, on TV, all over radio… if you’re even just ambivalent, this kind of non-stop access can grow into disgust before you know it. Bands like Nickelback, Maroon 5, and yes, Imagine Dragons, have capitalized on their popularity and for those that don’t enjoy them, it may seem as though there’s no escaping them. But does not liking a popular, commercially-successful band make them the “worst band ever?” In a word? No. It’s fine to disagree with popular opinion, it’s fine to dislike something, and it’s fine to be frustrated that so many of the rest of the world disagrees with your tastes. But does that make the thing you dislike actually bad? Ultimately, Gaca fails to back up her claims that Imagine Dragons is terrible, much less the worst band ever. While it’s clear she doesn’t like them, it seems more like a chance for her to rant about her annoyance at the popularity of something she vehemently dislikes, rather than any valid points as to why this band’s music is so awful. Are they everywhere? Yes. Does everyone love them? Certainly not. My suggestion, though, would be that Gaca learn to tune out that which she abhors and focus on how many other options are available, rather than wasting her energy trying to convince the mainstream music lovers that a band they enjoy is the worst.